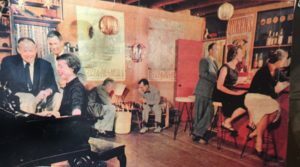 GREAT STORIES about the CANNERY ROW “MEN’S CLUB” will be told on Saturday, Oct. 21, during the docent-led Cannery Row Foundation tours at 10am, noon and 2pm, in Pacific Biological Laboratories at 800 Cannery Row. * Reservations may be made by e-mailing gregor@canneryrow.org or call his cell phone at 831-917-1937 telling which tour, how many people, and giving contact info. The $15 per person fee supports the nonprofit Foundation’s work. Only 15 visitors per each 2-hour tour are allowed in the historic Lab. Dress warmly and bring your camera! 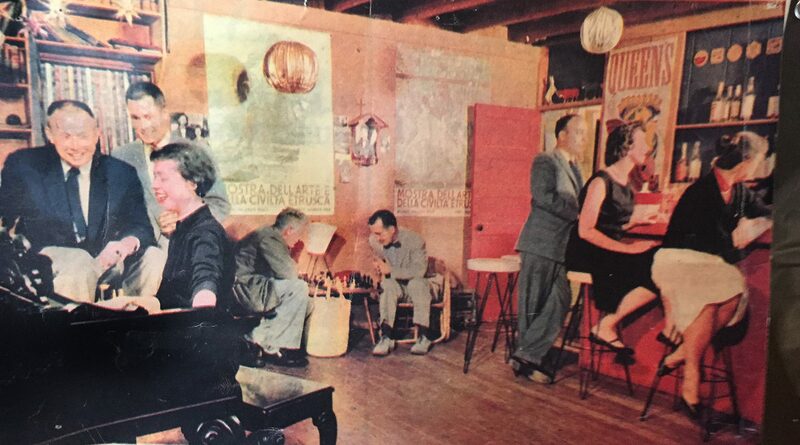 * After Ed Ricketts death in 1948, 15 men purchased Ricketts’ Lab from Harlan Watkins, to use as the Pacific Biological Laboratories social club — where a group of men from different backgrounds would have dinners, engage in talk and listen to classical music. * Those gatherings spawned the idea that eventually blossomed into the Monterey Jazz Festival. In 1993, the Men’s Club deeded the Lab to the City of Monterey. * Cannery Row historian Michael Hemp will be joined by Lucas Seastrom, San Francisco, CRF Docent authority on Ed Ricketts and the Lab, along with Lead Docent Michael Guardino and other great CRF Docents. * PBL historian Robin Aeschliman will present her Rodriguez family’s ownership history of 470 Ocaen View Ave., known today as the location of Edward F. Ricketts’ Pacific Biological Laboratories. * Come honor the era of “Doc’s Lab” Club Members. Help devoted fans of PBL celebrate: from Founder Harlan Watkins to the last of the members, Frank Wright, who passed away on Sept. 25. * Visitors in the lab are limited to 15 persons per tour. Donation is still only $15 per person to help fund special events like this exclusive PBL Tour. Dress in layers and bring your cameras.